University of Minnesota Extension released a report that includes findings from interviews with leaders of 13 statewide food networks and two multi-state networks. Those interviewed included two of Tracy Kunkler’s clients: Appalachian Foodshed Project and Community Food Strategies (NC). This exploratory interview process leveraged the experiences of these national leaders to reveal strategies, contexts, and theoretical foundations that have supported the development of statewide food networks around the country. 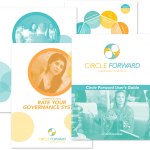 Circle Forward made the short list of important resources for Food System leaders across the country (see page 6 of the report), because the adaptive governance framework works well in the context of a dynamic, ever-changing, and diverse food network. 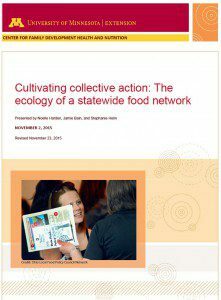 Read the full report, Cultivating Collective Action: the ecology of statewide food systems.